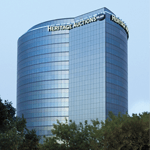 Consign your material to be auctioned alongside these items on Saturday, July 20, 2019 in Dallas, TX. Consignment Deadline for this auction is Wednesday, May 22, 2019. Consign Now What's it Worth? FD-1 (Second Printing, Jefferson Airplane, 1966), FD-2 (Second Printing, Great Society, 1966), FD-3 (Third Printing, Paul Butterfield Blues Band, 1966), FD-4 (Fifth Printing, Love, 1966), FD-5 (Third Printing, Blues Project, 1966), FD-6 (Original Printing, Signed by Wes Wilson, Grass Roots, 1966), FD-7 (Fourth Printing, Daily Flash, 1966), FD-8 (Second Printing, Blues Project, 1966), FD-9 (Second Printing, Love, 1966), FD-10 (Second Printing, Leaves, 1966), FD-11 (Second Printing, Grass Roots, 1966), FD-12 (Third Printing, Grateful Dead, 1966), FD-13 (Second Printing, Captain Beefheart & His Magic Band, 1966), FD-14 (Third Printing, Big Brother & the Holding Company, 1966), FD-15 (Second Printing, Grass Roots, 1966), FD-16 (Second Printing, Sir Douglass Quintet, 1966), FD-17 (Fourth Printing, Jefferson Airplane, 1966), FD-18 (Second Printing, Bo Diddley, 1966), FD-19 (Second Printing, Big Brother & the Holding Company, 1966), FD-20 (Original Printing, Signed by Alton Kelley and Stanley Mouse, Bo Diddley, 1966), FD-21 (Second Printing, Signed by Stanley Mouse, Bo Diddley, 1966), FD-22 (Third Printing, Grateful [sic] Dead, 1966), FD-23 (Second Printing, Captain Beefheart & His Magic Band, 1966), FD-24 (Second Printing, 13th Floor Elevators, 1966), FD-25 (Second Printing, Quicksilver Messenger Service, 1966), FD-26 (Third Printing, Grateful Dead, 1966), FD-27 (Original Printing, Howlin' Wolf, 1966), FD-28 (Fourth Printing, 13th Floor Elevators, 1966), FD-29 (Fourth Printing, Signed by Alton Kelley and Stanley Mouse, Jim Kweskin Jug Band, 1966), FD-30 (Third Printing, Signed by Alton Kelley and Stanley Mouse, Big Brother & the Holding Company, 1966), two different versions of FD-31 (Original Printing & Third Printing, Daily Flash, 1966), FD-32 (Original Printing, Quicksilver Messenger Service, 1966), FD-33 (Fourth Printing, Signed by Stanley Mouse, Grateful Dead, 1966), FD-34 (Second Printing, 13th Floor Elevators, 1966), FD-35 (Original Printing, Daily Flash, 1966), FD-36 (Second Printing, Quicksilver Messenger Service, 1966), FD-37 (Original Printing, Buffalo Springfield, 1966), FD-38 (Third Printing, Big Brother & the Holding Company, 1966), FD-39 (Second Printing, Youngbloods, 1966), FD-40 (Original Printing, Grateful Dead, 1966), FD-41 (Second Printing, Country Joe & the Fish, 1966), FD-42 (Original Printing, Quicksilver Messenger Service, 1967), FD-43 (Second Printing, Moby Grape, 1967), FD-44 (Original Printing, Miller Blues Band, 1967), FD-45 (Second Printing, Grateful Dead, 1967), FD-46 (Second Printing, Country Joe & the Fish, 1967), FD-47 (Second Printing, Miller Blues Band, 1967), FD-48 (Second Printing, Big Brother & the Holding Company, 1967), FD-49 (Second Printing, Avalon Ballroom, 1967), FD-50 (Second Printing, Country Joe and the Fish, 1967), FD-51 (Original Printing, Quicksilver Messenger Service, 1967), FD-52 (Second Printing, Big Brother & the Holding Company, 1967), FD-53 (Second Printing, Quicksilver Messenger Service, 1967), FD-54 (Second Printing, Grateful Dead, 1967), FD-55 (Original Printing, Big Brother & the Holding Company, 1967), FD-56 (Second Printing, Charlatans, 1967), FD-57 (Second Printing, The Doors, 1967), FD-58 (Second Printing, Quicksilver Messenger Service, 1967), FD-59 (Second Printing, Avalon Ballroom, 1967), FD-60 (Second Printing, Big Brother & the Holding Company, 1967), FD-61 (Second Printing, Doors, 1967), FD-62 (Original Printing, Quicksilver Messenger Service, 1967), FD-63 (Original Printing, Charlatans, 1967), FD-64 (Original Printing, The Doors, 1967), FD-65 (Second Printing, Big Brother & the Holding Company, 1967), FD-66 (Original Printing, Youngbloods, 1967), FD-67 (Original Printing, Charlatans, 1967), FD-68 (Original Printing, Quicksilver Messenger Service, 1967), FD-69 (Original Printing, Quicksilver Messenger Service, 1967), FD-70 (Original Printing, Miller Blues Band, 1967), FD-71 (Original Printing, Charlatans, 1967), FD-72 (Second Printing, Big Brother & the Holding Company, 1967), FD-73 (Original Printing, Blue Cheer, 1967), FD-74 (Original Printing, Charles Lloyd Quartet, 1967), FD-75 (Original Printing, Moby Grape, 1967), FD-76 (Original Printing, Quicksilver Messenger Service, 1967), FD-77 (Original Printing, Big Brother & the Holding Company, 1967), FD-78 (Original Printing, Miller Blues Band, 1967), FD-79 (Third Printing, Big Brother & the Holding Company, 1967), FD-80 (Original Printing, South Side Sound System, 1967), FD-81 (Second Printing, Youngbloods, 1967), FD-82 (Original Printing, Grateful Dead, 1967), FD-83 (Original Printing, Charlatans, 1967), FD-84 (Second Printing, Lothar & the Hand People, 1967), FD-85 (Original Printing, Vanilla Fudge, 1967), FD-86 (Original Printing, Blue Cheer, 1967), FD-87 (Original Printing, Buddy Guy, 1967), FD-88 (Original Printing, Van Morrison, 1967), FD-89 (Second Printing, Quicksilver Messenger Service, 1967), FD-90 (Original Printing, Canned Heat, 1967), FD-91 (Original Printing, Youngbloods, 1967), FD-92 (Original Printing, Bo Diddley, 1967), FD-93 (Original Printing, Big Brother & the Holding Company, 1967), FD-94 (Original Printing, Flatt & Scruggs, 1967), FD-95 (Original Printing, Jim Kweskin Jug Band, 1967), FD-96 (Original Printing, Quicksilver Messenger Service, 1967), FD-97 (Original Printing, Siegal Schwall, 1967), FD-98 (Second Printing, Jim Kweskin & His Jug Band, 1967), FD-99 (Second Printing, Blue Cheer, 1967), FD-100 (Original Printing, Youngbloods, 1968), FD-101 (Second Printing, Quicksilver Messenger Service, 1968), FD-102 (Original Printing, Genesis, 1968), FD-103 (Original Printing, Country Joe & the Fish, 1968), FD-104 (Original Printing, Electric Flag, 1968), FD-105 (Original Printing, Siegal Schwall, 1968), FD-106 (Original Printing, Youngbloods, 1968), FD-107 (Original Printing, Quicksilver Messenger Service, 1968), FD-108 (Original Printing, Blues Project, 1968), FD-109 (Original Printing, Love, 1968), FD-110 (Original Printing, Blood, Sweat & Tears, 1968), FD-111 (Original Printing, Siegal Schwall, 1968), FD-112 (Original Printing, Jerry Steig & the Satyrs, 1968), FD-113 (Original Printing, Blues Project, 1968), FD-114 (Original Printing, Fugs, 1968), FD-115 (Original Printing, Steppenwolf, 1968), FD-116 (Original Printing, Quicksilver Messenger Service, 1968), FD-117 (Original Printing, Junior Wells, 1968), FD-118 (Original Printing, Quicksilver Messenger Service, 1968), FD-119 (Original Printing, Junior Wells, 1968), FD-120 (Original Printing, Youngbloods, 1968), FD-121 (Second Printing, Taj Mahal, 1968), FD-122 (Original Printing, Iron Butterfly, 1968), FD-123 (Original Printing, Frumíus Bandersnatch, 1968), FD-124 (Original Printing, Kaleidoscope, 1968), FD-125 (Original Printing, Youngbloods, 1968), FD-126 (Original Printing, Iron Butterfly, 1968), FD-127 (Original Printing, Steve Miller Band, 1968), FD-128 (Original Printing, Tim Buckley, 1968), FD-129 (Original Printing, Country Joe & the Fish, 1968), FD-130 (Original Printing, Quicksilver Messenger Service, 1968), FD-131 (Original Printing, Chrome Syrcus, 1968), FD-132 (Original Printing, Steppenwolf, 1968), FD-133 (Original Printing, Billy Haley & the Comets, 1968), FD-134 (Original Printing, Spirit, 1968), FD-135 (Original Printing, Youngbloods, 1968), FD-136 (Original Printing, James Cotton Blues Band, 1968), FD-137 (Original Printing, John Mayall, 1968), FD-138 (Original Printing, Steve Miller Band, 1968), FD-139 (Original Printing, Flatt & Scruggs, 1968), FD-140 (Original Printing, Quicksilver Messenger Silver, 1968), FD-141 (Original Printing, Grateful Dead, 1968), FD-142 (Original Printing, Velvet Underground, 1968), FD-143 (Original Printing, Buddy Miles Express, 1968), FD-144 (Original Printing, Byrds, 1968), FD-145 (Original Printing, Mother Earth, 1968), FD-146 (Original Printing, Love, 1968), FD-147 (Original Printing, Quicksilver Messenger Service, 1968), FD-D2 (Original Printing, Quicksilver Messenger Service, 1968), FD-D5 (Original Printing, Buffalo Springfield, 1967), FD-D6 (Original Printing, Van Morrison, 1967), FD-D7 (Original Printing, Canned Heat, 1967), FD-D8 (Original Printing, Allmen Joy, 1967), FD-D9 (Original Printing, Jefferson Airplane, 1967), FD-D10 (Original Printing, Blue Cheer, 1967), FD-D11 (Original Printing, Other Half, 1967), FD-D12 (Original Printing, Chuck Berry, 1967), FD-D13 (Original Printing, Jim Kweskin & His Jug Band, 1967), FD-D14 (Original Printing, Canned Heat, 1967), FD-D15 (Original Printing, Soul Survivors, 1967), and FD-D18 (Original Printing, The Doors, 1967). All posters have been stored in archival portfolios and have been authenticated. In NM or better condition.